A chieftain of All Progressives Congress (APC) and former Senator representing Lagos East at the Senate, Olorunnimbe Mamora has commended Lagos State Governor, Mr Akinwunmi Ambode for his sterling performance in office within two years, saying that the infrastructures put in place by the Governor have greatly contributed to reduction of stress for the people and increase productivity. Speaking on Friday during the commissioning of eight roads newly upgraded in Kosofe Local Government by the State Government, Mamora said the springing up of critical infrastructures in all sectors and sections of the State, apart from its positive implication for trade and commerce, would equally save the people from stress and hypertension, as well as lead to increase in productivity. The newly inaugurated roads are Omotayo Banwo, Kola Iyaomolere, Omotayo Close, Adetunji Adegbite Street, Ogun Street, Goodluck Street and Prince Oyewunmi Street. Mamora said: “People may not really appreciate what it entails but apart from opening up this area for communication, trade, commerce and so on, it goes beyond that. How about the stress factor that has been reduced because if you are coming from the Express now from Third Mainland Bridge, once you just turn at Ogudu, it leads you straight to Alapere and from there to Ikorodu. 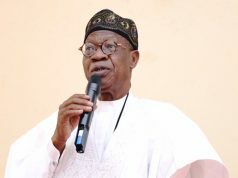 Mamora, who is also a former Speaker of Lagos State House of Assembly, recalled how former Lagos State Governor and now National Leader of APC, Asiwaju Bola Ahmed Tinubu opened up the area in 2002 with the upgrade of Kola Iya Omolere Road, while his successor, Babatunde Fashola build on the developmental template laid by the former by upgrading Agboyi Road. “Now, Governor Ambode, who has been described as the God Given Governor (GGG), coming on board, has transformed the entire place in totality. “I am saying this with all due sense of humility, modesty and passion at my disposal, two Sundays ago when we were coming from Church as I was driving with my wife, I told her let us just stop by at my hospital because she never came around to see when the roads were under construction, but I was always coming around to monitor the progress of work, we drove up to almost Alapere end and we turned back, when we came back, my wife was asking me where is our hospital. She was asking me because she just could not believe the transformation that had taken place,” Mamora narrated. 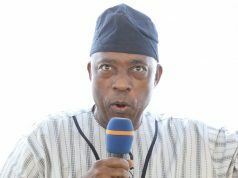 Also, speaking during the inauguration of network of roads newly completed in Epe by the Ambode administration, the Oloja of Epe, Oba Kamorudeen Ishola Animasahun said he was proud of the achievements of the Governor in office in all sections of the State. The monarch, who recalled the flyovers built in Abule Egba and Ajah, as well as the regeneration of Ojodu Berger axis and the bridge/network of roads in Aboru and Abesan communities, said he was particularly happy that the gift from Epe to Lagos State in person of Governor Ambode had not disappointed the people, as there are visible projects in all parts of the State. He said in the history of Epe and Lagos State, the achievements of Governor Ambode would never be forgotten, as the trajectory of the State was being changed for good.